A recent open house at Habeeb Jewelers in Corpus Christi put the quality and value of this 63-year-old business on display alongside its impressive collection of quality gems. Staff greeted customers with smiles, free refreshments, and a tour of the store. They also helped build customized wish lists for the future. Customers such as David Walter of Kenedy were impressed by the care and expertise they found at Habeeb’s Jewelers. She even helped him find a vendor who specialized in antique pocket watches, which he wanted for himself. “I found one from the year 1865,” Walters said. Having a personal jeweler is an increasingly rare commodity in today’s world of online shopping, Habeeb said. The legacy of customer care goes back to Habeeb’s parents and grandparents, the original jewelers. Linda’s mother, Marie Salem Habeeb, grew up working at the Salem family grocery store, which back then was on Leopard Street. Her father, Emil Habeeb, was born in San Francisco from Lebanese descendants. The eldest of six children, he moved with his family to Corpus Christi to begin a new life. When Emil Habeeb’s parents divorced, he had to quit school to support his mother and siblings. He began by delivering telegrams for Western Union. When he married Marie Salem in 1948, he was hired as an apprentice to her brother Joe Salem at his jewelry store at Six Points. A jeweler and philanthropist, Salem served as state representative for Corpus Christi from 1969 to 1977. Emil and Marie's first store was at Town and Country Center on Alameda Street. According to Linda, Habeeb’s Jewelers was one of the first stores at the shopping center. It opened Sept. 29, 1956. Linda Habeeb keeps albums and scrapbooks of old photos and news clippings documenting the history of the family business, including photos of the very first store and employees. The family business eventually expanded to Annaville and Portland. Linda Habeeb managed the Annaville store when she was 18 years old. When Hurricane Celia hit Corpus Christi in 1970, Habeeb’s parents were out of town. Since she couldn’t be in two places at once, she chose to protect the Corpus Christi store, which was larger and had the most inventory. The Annaville store was destroyed by the hurricane then looted. Entrepreneurship runs in the family as the three Habeeb daughters — Mary Victoria “Vicki” Mitchell, Linda Kay Habeeb, and Camille Habeeb Hojnacki — each established their own jewelry business. Habeeb’s Jewelers sits next door to Camille's Original Jewelry Designs. Later this month, Victoria’s Jewels will open in the same shopping center. To set themselves apart from online retailers, Habeeb’s Jewelers provides free jewelry cleaning and inspection, free lessons on how to choose diamonds, and open house events before special occasions such as Christmas or Valentine’s Day. “You can’t get this personal face-to-face attention buying off the internet,” said Jessica Sachanowicz, Linda Habeeb’s daughter. Sachanowicz helps during open houses by providing free, fresh-baked desserts. 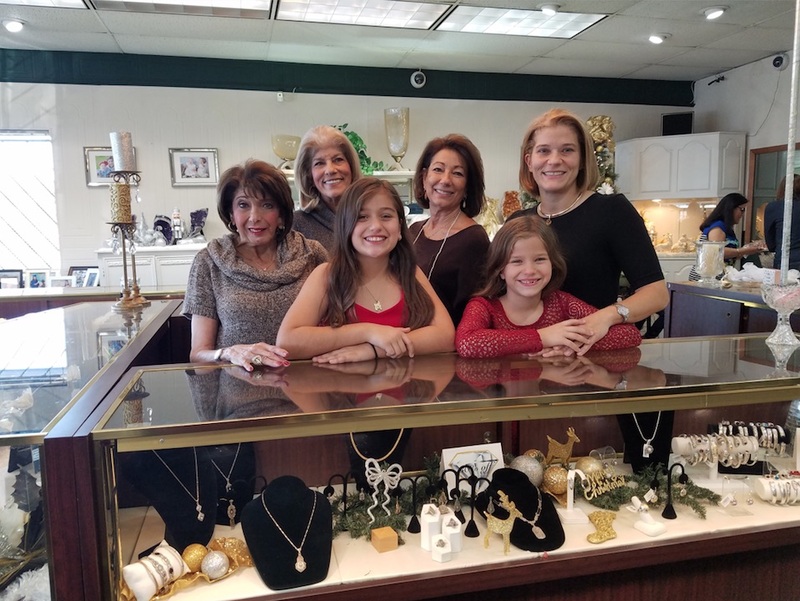 Her children, 12-year-old Adam, 10-year-old Abbey, and 8-year-old Hailey already assist behind the counter, waiting on customers and learning the trade just as Linda Habeeb and her sisters did at their age. At this particular open house, visitor Elizabeth Vasquez had some of her own fond memories of Habeeb’s to share. As for the continued success of Habeeb's Jewelers, Linda Habeeb credits her parents. 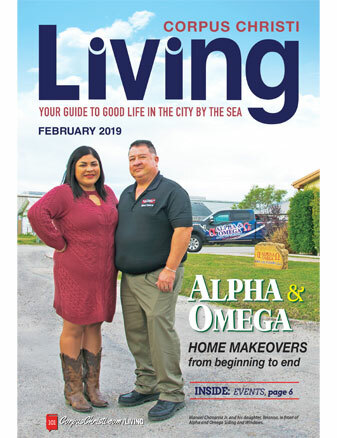 Habeeb’s Jewelers, Camille’s Original Designs, and Victoria’s Jewels are located inside Habeeb Square at 6343 South Padre Island Drive in Corpus Christi. For more information, call (361) 991-1264 or visit their Facebook page.